WASHINGTON — In what would be a nightmare scenario for the GOP, presidential hopeful Ben Carson threatened Friday to leave the Republican Party amid reports of deepening concerns from GOP officials about the splintered 2016 electorate. The retired neurosurgeon lashed out at Republican leaders who discussed the possibility of a “brokered convention” during a recent private dinner meeting in Washington. The Washington Post first reported Thursday that the group, including Republican National Committee chairman Reince Priebus and Senate Majority Leader Mitch McConnell, discussed the sustained strength of billionaire business Donald Trump and the possibility that a consensus nominee might not emerge before the party’s mid-July national convention in Cleveland. The Republican National Committee did not immediately respond to questions about the meeting and Carson’s threat. A third-party run by Carson or Trump would be a worst-case scenario for the GOP. 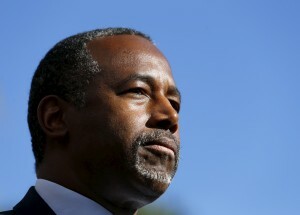 While Carson is slipping in recent polls, an independent bid that siphoned even a few percentage points away from the party’s nominee could make it all but impossible for the Republican nominee to win the general election. Spokesman Doug Watts said Carson was appalled at reports suggesting that Republican leaders were trying to manipulate the party’s presidential nominating process. He acknowledged that Carson, like Trump and the rest of Republican field, signed a pledge not to launch a third-party bid. While unlikely, the possibility of a brokered convention is a common topic of conversation for political operatives examining the turbulent 2016 election season. Such a scenario would play out if none of the Republican candidates accumulate the necessary number of delegates in the state-based primaries by the time the GOP holds its national convention in mid-July. The last time a brokered convention played out was in 1976.